How good will Silvermax be? Well, the internet is buzzing with news of a new 35mm film from Adox, described as a "silver-rich" emulsion, that will be launched at the upcoming Photokina. 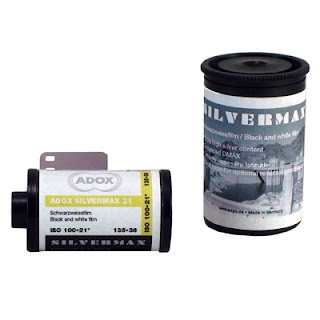 Adox says it contains about double the amount of silver in comparison with normal black and white films, something that causes me to raise an eyebrow as the price of silver threatens to go through the roof. Still, with Kodak's future remaining uncertain, it's at least good to know that there is one company willing to invest in new materials. Fifty years ago, most films were silver rich which many claimed gave them a look all of their own. Efke's line-up (also sold as Adox CHS) when they were still making film before an accident at Fotokemika's Croatian coating plant killed them off were of a similar make-up. Personally, I can't claim to have noticed any particular look to Efke/Adox CHS films. I think the lenses they used in the 1940s and 1950s must have come into the equation somewhere. 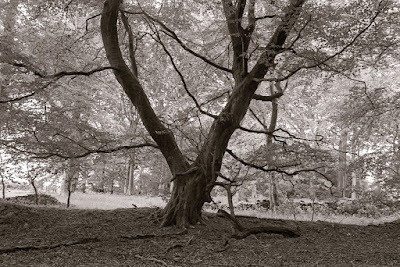 Aside from shooting some Efke against, say, Fuji Acros, on a Contax IIa and a 50mm Sonnar it would be difficult to know. It would have been nice if Adox had been able to provide more details of Silvermax instead of leaving us all to contribute to the rumour mill on countless forum threads. The ideal would have been if they'd made some examples of the film's capabilities available at launch instead of piquing everyone's interest and then going silent. Probing queries by some photographers have elicited a little bit more information but nothing concrete. The 100 ISO Silvermax, for example, is said to achieve twice the DMax of ordinary films and reproduce up to 14 zones in the dedicated Adox developer. It's based on an Agfa APX 100 emulsion but with a more silver rich coating. It's also said to be incredibly sharp due to an anti-halation layer between the emulsion and the clear triacetate base and extremely fine grained. It has to be stressed that these are just claims from Adox at this stage and no company is going to launch a new film with the boast that it's "pretty average, really". There was some initial suspicion that the film was no more than a rebadged Adox CHS product coming as it does not long after the Fotokemika shut down but Adox said planning for Silvermax started months before Fotokemika's news. So, on the basis that it's a new film, this surely has to be good news - although you'd never guess it from the curmudgeonly posts on some forums. Some photographers are already moaning about the price even though that hasn't been revealed yet! If only a buyer with long term ambition can be found for Kodak's film division, we'll have emerged from the latest film dramas still in reasonable shape. How price sensitive are we really by now though? It used to be most film users just wanted pictures, as fast and as cheap as possible. Now, we remaining people use it as a hobby, for the pleasure of it, and price doesn't really matter the way it used to do. I use perhaps 4 MF rolls per month at the very most (life and work does intervene). The price of those rolls could triple and it'd still not reach what I pay for food and beers on a single night out. Happy to see a company that realizes what their customer base is (mostly) like. Me too. I think all film photographers have to do their bit to support the last remaining players in the film business. If we do that, film will be around for years and years. If not, we'll all be back to coating our own glass plates! Silver nitrate may not be cheap but if film goes away I know what I'll be stocking up on. I just bought 50 sheets of Fomapan 100 in 4x5. Can't wait to see how it goes, i've never shot foma products before but have seen some very nice results. I'll be buying a roll of this when it comes out. I found about this release a week ago. My big questions are, can I process this with say ID-11, a Xtol clone developer or Rodinal and secondly will this be available in North America? I doubt there will be anything sufficiently different about the film that would rule out normal developers, Bill. The fact that it will come with its own developer is probably just a marketing ploy to get you to splash out more money. I bought 15 rolls from Maco in Germany. They came in about 5 days. Freestyle was sold out but Maco had Silvermax and Rollei 80S in stock. I am in the US.